Notes: For the month of June we shut down the nets and simply monitored the birds present in the area. The standard census was done twice a week for most of the month, and supplementary observations were made during additional visits. 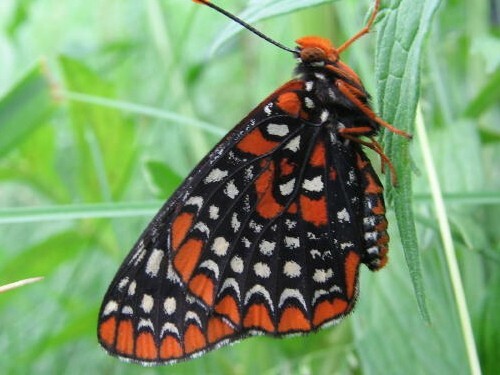 Of the 64 species observed during the month, the majority of have been seen repeatedly and are likely breeding on site. Highlights among these include Green Heron, Veery, American Redstart, Indigo Bunting, and 5 species of woodpecker. The Tree Swallow boxes were checked periodically, and the first hatchlings (17 of them in four boxes!) were discovered on June 10. At that time another 25 eggs remained in other boxes, so the population is likely to grow much further still. 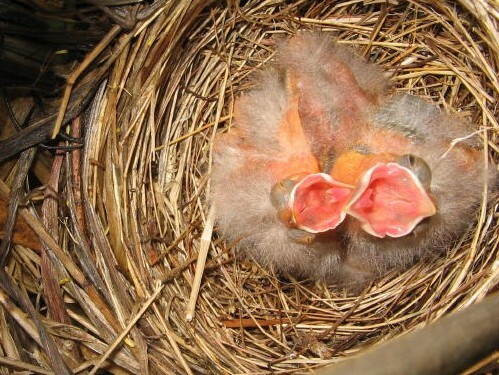 Nests of several other species have been found, including Red-winged Blackbird, Yellow Warbler, Gray Catbird, Eastern Phoebe, Rose-breasted Grosbeak, Baltimore Oriole, and Song Sparrow. An abandoned Pied-billed Grebe nest with scattered eggshells was also discovered, but it was not clear whether they had nested successfully or been the victim of predation. In early July we will resume banding on an occasional basis, hopefully catching some of the recent fledglings so that we'll be able to recognize them if they return to MBO next spring.